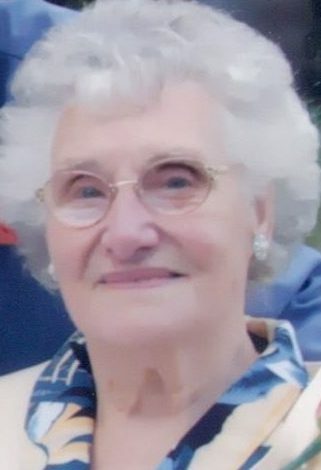 Passed peacefully away on May 22 at St. Clare’s Mercy Hospital, surrounded by her family, Delilah Short, aged 98 years. Predeceased by her husband Harold. Leaving to mourn her daughter Beverly Pynn and son Derek (Marie); grandchildren Erica (Stephen) and Stephen (Christa); great grandchildren Alexander, Zachary, Brady and Brooklyn; as well as many wonderful nieces, nephews, other relatives and friends. Many thanks to the recreational staff and the staff of 2 N/S of St. Patrick’s Mercy Home, for the care and compassion shown towards Mom in her 6 years residing there. Resting at Carnell’s Funeral Home, 329 Freshwater Road, on Thursday May 24 from 2-4 and 7-9 p.m. Funeral service will take place on Friday May 25 at 2:00 p.m. from the Carnell Memorial Chapel with interment to follow at Mount Pleasant Cemetery. In lieu of flowers, donations in Lily’s name may be made to Autism Society. Our sympathies on the passing of your mother. Many memories of hers & your dad’s summers spent in Hants hr. They were very nice neighbors. Thoughts and prayers with you at this time. Just read your Mom’s obituary. My deepest condolences on your Mom’s passing. I have many fond memories of your Mom and many great chats at her store. A remarkable woman. My thoughts and prayers are with you all. Many wonderful memories of this lady during my childhood. She holds a special place in my heart. To Bev and Derek we send our condolences. Derrick,Beverly and families we were sorry to hear of your moms passing.We will always remember her friendship.Keep your memories close. Sorry to hear of Aunt Lil’s passing. Our thoughts and prayers are with your families at this sad time. I have some great memories of aunt Lil when I visited with my Mom . May she rest in peace. Shirley, Nat and family. We are very sorry to hear about the passing of your grandmother. Our thoughts and prayers are with you and your family at this difficult time. sorry for your loss.thinking of you.